There are many good beginners guides to observing on the web, such as this and this. There is even an 'official' guide from the Royal Astronomical Society. You can also find many guides to the types of observing. The truly dedicated (who try hard enough) might even find a local evening class. However, all of these can be a bit 'theoretical', so we at MAS have tried to focus on some of the more practical aspects. MAS has held a public event 'in conjunction with' Stargazing Live ever since the series started in 2011 (our event is usually on the Saturday following the broadcast). Reports of how previous events turned out can be found on our Events page (the events are in January of each year). The Google Sky Map app. is the 'new standard**' in graphical sky constellation 'painting' for Android users. This helps you learn your way around the night sky (members have been known to take a sneaky look at their Tablets before putting a name to even the most obscure objects in the night sky, thereby ensuring their 'expert' reputation). Also recommended is 'Night Sky Tools' (from Smoky Cogs), another free app., which provides a wealth of 'whats happening in the sky now' information for your current location. In the suburban sky our eyes (if we are fortunate to have a good pair) will see roughly 1500 stars. This increases to about 5000 in a rural area away from the street lights. See the Campaign for Dark Skies maps or more detailed maps. The Philips Dark Skies map from Amazon is also a good source of more information on finding a darker location. The easiest way to see more is to use binoculars; chances are, you already have a pair. They are indispensable, easy to carry around and will show you a wide area of sky (about 7 degrees) in more detail; revealing many interesting objects like nebulae, star clusters, comets and the moons of Jupiter. As soon as you move into a darkened area, your eyes start to become accustomed to the reduced light. Your pupils open up to allow more light in and a chemical process takes place in our eyes to make them more sensitive. It is important to be dark adapted when viewing the night sky whether it be with the naked eye, binoculars or a telescope. The exception is the Moon. This is already bright and seeing it in a telescope will often spoil your dark adaptation. Not to worry though, your dark adaptation will return after 10 minutes, or you can buy filters to cut down the light if its a full moon for instance. Full dark adaptation may take 20 or 30 minutes. The stars tend to be 'sharper' during the winter nights (both because of the reduction in Sun 'sky glow' and the cooler air (so less 'thermal distortion') - but don't forget your thermal under-ware, socks and gloves, ski-boots, overcoat & hoody ! You will see binoculars reviewed in magazines and on the internet. Sky and Telescope has a article on the subject. Our Links page list a wide range of equipment suppliers, many of whom sell binoculars. If you visit a specialist retail supplier (which is convenient, but usually much more expensive than Amazon etc) ask the sales person what he/she recommends for star gazing (often general shop staff will assume you are a bird watcher and try to sell you an expensive 'spotting scope' instead !). Better, join MAS and attend our observing evenings - there will almost always be some-one with binoculars who will be only to happy to advise (and let you try theirs out first) before buying your own. Apart from optical and build quality, some other features should be understood. Binoculars are specified by two numbers - eg "7 x 50" etc. The first number is the magnification, the second is the diameter of the front lens, which is called the "objective" or "object glass" (or just "OG" for short). The OG sets the amount of light gathered - and the more light you have, the higher the magnification you will get. Of course the higher the OG, the heavier the Binoculars - and those with an OG of 100 (or more) are a lot more expensive. Of course, higher magnifications also mean smaller fields of view. Small size is one of the best attributes of binoculars - but don't buy binoculars with an OG less than 40mm (whilst fine for bird-watching in daylight, they won't gather enough light for star gazing) ! As a 'general rule' the best choices for night use will be 7 or 8 x40, 8x50 or perhaps 10 x50 or x60 (which is pushing it a bit). Sizes greater than 10x50 will usually too heavy for easy viewing and need to be supported by a tripod (or other device) - it's very hard to hold heavy binoculars steady, especially if the magnification is above about 8. The view through any pair of binoculars will be improved if supported to minimise shake. A tripod mounting bracket is a common solution. Improvement can be made by using a parallelogram mount such as on this link by Graham Wood, or maybe purchased. Some other examples of binocular mounts here. The exit pupil (given in mm) is sometimes found in the specification for binoculars. This is simply OG size divided by magnification and usually does not exceed 7mm and is typically 4 or 5mm. The exit pupil should be matched to your own dark adapted pupil size. 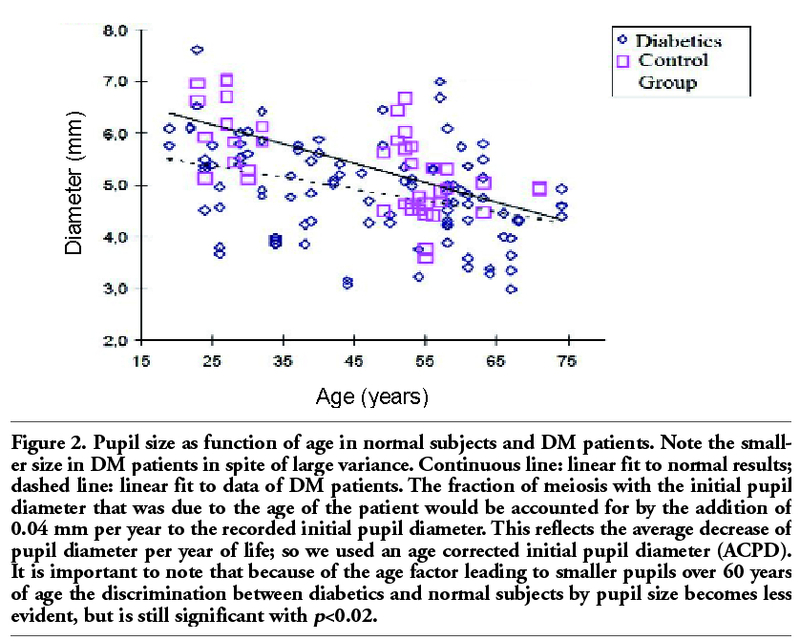 The maximum size of the pupil decreases with the age (image licensed under a Creative Commons Attribution 3.0 License) of the observer (and is even worse for those with age related illnesses, such as diabetes). So 10x50 or 15x80 are fine for most people. Some wonderfully views of the Milky Way can be had with say 8 x 50s from the darkness of mid-Wales, moors and National parks. 2) greater light gathering ability - allowing much fainter objects to be seen - such as the Orion, the Dumbbell and Crab nebulae, fainter stars in the Hercules cluster, and external galaxies like the Whirlpool. Telescopes also come in a variety of "configurations" to match your interests. So what about choosing a telescope ? 3) Mirrors only: Newtonian reflector. To follow ('track') the stars, an alt-azimuth mount has to be moved simultaneously in both axis. This is quite difficult to do manually, and whilst it's easy enough with a motorised mount, if you want to take long exposure photos you will need to 'covert' it to EQ operation by fitting a 'wedge' (which can be quite expensive) - otherwise your photo will suffer from 'field rotation' distortion. The EQ mount (once it has be correctly be aligned with the earths axis), only has to be driven in one axis to track the stars. 'GoTo' operation is now common on even the cheaper mounts and, when the telescope has been properly aligned, allows you to select an object from a menu on the hand controller. The controller them moves the telescope to point at the selected object (hence 'GoTo'). TYPES: Plossl, Wide Angle, Ultra Wide Angle, Konig, Radian, Panoptic, Nagler. MAKES: Teleview, Meade, Celestron, and a number of others. Filters can reduce light pollution and enhance contrast on faint objects. They can be used on the Moon to gut down glare, and coloured filters will bring out detail on planet, or reduce colour fringing. Your hand held at arm length is a good way to estimate angles on the sky. The diagram right illustrates how to judge the angle between stars in the Plough (Great Bear, Ursa Major) and hence any other area of the sky. The width of a finger tip is about 1 degree and should cover the Moon completely - try it. The sky is measured in degrees. A full circle is 360 degrees. From horizon to zenith ( strait up) is 90 degrees. Your binoculars show only a 7 degree portion roughly, but it is useful to know more exactly because it will depend on the magnification you have. For Moon 0.5 degrees (deg), Andromeda galaxy 1deg, Orion's belt 2.5 deg, Caster to Polux 4.5 deg, the pointer stars in the Great Bear 5.5 deg, the sides of the Great Square of Pegasus 14 to16 deg. It's very hard to show the Solar System to scale. To fit the whole Solar System into your living room the Sun in the middle would be only 2/3rd mm in size (and Earth would be invisible, at less than 2/10,000 ths of an inch !). If you make the Earth a more visible 1" (25mm) marble, then the Sun is 2.8m (9ft) across, Jupiter a football (12" = 1 foot, about 305mm) and the whole Solar System (the orbit of Neptune) is 7 miles (about 19km) across ! Sweeping the sky with binoculars on a warm August night is probably one of the delights of owning a pair of binoculars or a wide field low power telescope. How would you identify a misty blob or cluster ? Well you really need to know the basic star patterns in relation to a map, and the only way to do this is take an atlas with you and a red torch to read it by. 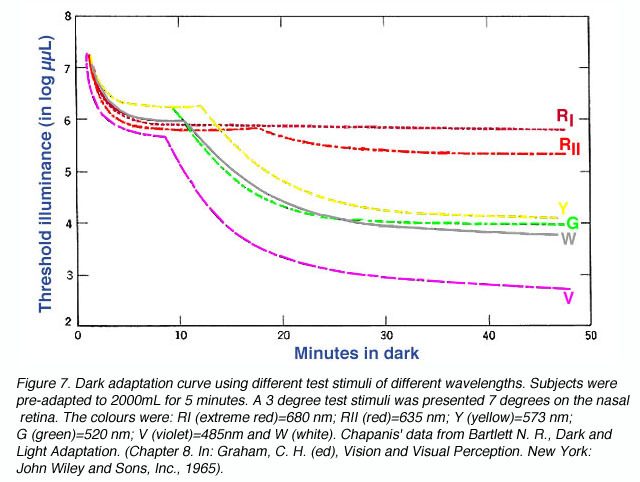 (Red light does not effect dark adaptation). First keep your head pointing in the same direction of the object but lower the binoculars so that you can see the whole area of sky. Raise the binoculars again to confirm the location of the object. Go to the star atlas and identify the area and the object or sketch the star pattern in a log book. A planisphere (eg Philips) enables you 'dial in' the exact view of the sky and shows all the constellations above your horizon and their direction. You can even make your own planisphere (if the link doesn't work, the two PDF layout files are copied here: bottom part, and top part. For binocular users, a book devoted to the subject with star maps would be recommended. There are other options e.g. Norton's Star Atlas, Collins wild guide "Night Sky" and many others. A log book records important information which you might otherwise forget: Date, Time, Location, Instrument, field of view, direction in the sky, description, weather conditions. How bright was it? I asked, "As bright as the Moon" was the answer. That was the description of a Leonid meteor which exploded on the night of November 16/17 1998. A meteor brighter or as bright as Venus is called a "fireball" and much brighter events could be described as a "bolide". The SPA describes these terms here. Apart from the Sun and Moon, the planets Venus, Jupiter and Mars rank as the brightest objects - oh and of course the occasional "Great Comet" such as West (1976) Hale-Bopp (1997) and 2006P1 McNaught (2007) which was recently judged "as bright as Jupiter". All times for astronomical events are given in UTC = "Universal Coordinated Time". To within a second or so, UTC is the same as GMT - to convert from UTC to UK 'local time', all we have to do is ADD AN HOUR during the summer (for British Summer Time). Additional contributions from members will be much appreciated by the Webmaster (you don't need to know anything about web design or 'html' = just send your plain text (and attach any photos) to the "webmaster" at maidenhead-astro.net). This page last modified: 15th Nov 2016 16:40. Page Clicks to date: 127. User 34.228.38.35 @ ec2-34-228-38-35.compute-1.amazonaws.com.